Synopsis: The story of a married couple, Diane and Brian, that learn they are pregnant with their first child has come at an unfortunate time. Brian is thrilled with the news since he has patiently waited for twelve years to become a father, however Diane is unsure of her excitement. With her family’s dark past, her recent promotion, and Brian being called away to London for work parenthood has arrived unexpectedly. When a year has passed and Diane is completely head over heels in love with her precious baby girl, Grace, Brian has still not returned from London. Diane’s dark past collides with her mysterious new life and the surreal family drama is unveiled. 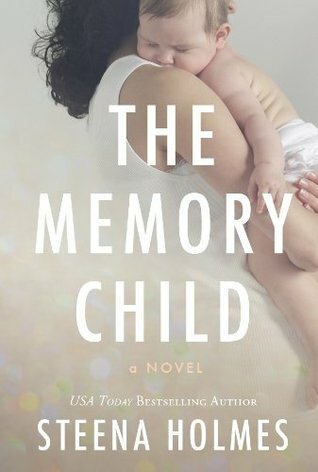 My take: The Memory Child is the first book by Steena Holmes I’ve read. Holmes kept me guessing and turning the pages to find out what was going on in this story. That’s saying a lot because character driven novels aren’t always my cup of tea. Not so with this one. It quietly got inside my brain and didn’t let go until I turned the final page. My opinion of the characters changed more than once as the story progressed. I liked that the novel wasn’t predictable and played with my brain a bit. It’s an eerie and emotional story. If the publisher’s synopsis and my take make it seem like a novel you’d like to read then go get a copy! I’m glad I had the chance to read The Memory Child. 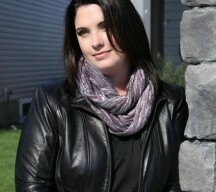 Steena Holmes grew up in a small town in Canada and holds a bachelor’s degree in theology. She is the author of eleven novels and novellas, including Finding Emma, for which she was awarded a National Indie Excellence Book Award in 2012. She currently lives in Calgary with her husband and three daughters, and loves to wake up to the Rocky Mountains each morning.